A dog and a goat, who Henderson Police said were "best friends," are back in the care of their owner. 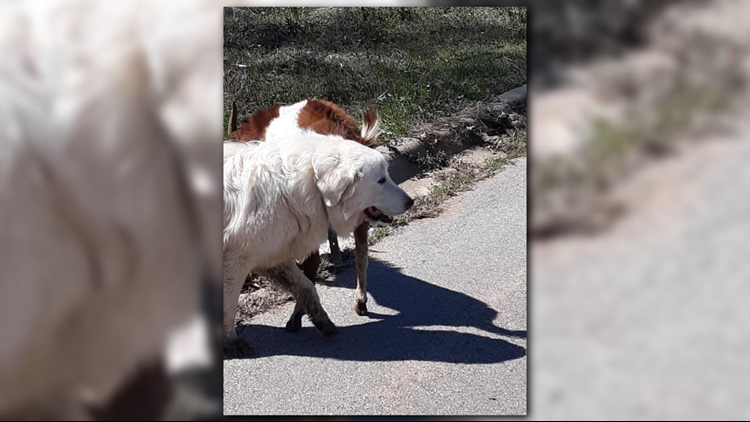 The dog, a Great Pyrenees, and the goat were reported Friday morning by Henderson Police to be running around the city. The animals were specifically said to be in the Tera Nova subdivision. Henderson Police said on their Facebook page the animals are reunited with their owner.